Photo: VIA Rail / Uli Kunz, www.uli-kunz.com. VIA Rail has awarded a $54 million contract to Bombardier to bring a number of its train cars up to modern accessibility standards. The contract includes 17 stainless steel rail cars which were built in the 1950s. Bombardier will modernise each car to comply with modern accessibility requirements by installing two new wheelchair lifts, two accessible spaces with anchoring devices, passenger information screens and an accessible toilet. In addition, the project will include installing Wi-Fi and mechanical upgrades, including improving the heating system. Bombardier has said the contract will help retain between 80 and 100 jobs at its La Pocatière factory. The upgrade programme is due to be completed in 2020. Yves Desjardins-Siciliano, VIA Rail president and chief executive officer, said in a statement: “Thanks to the federal government funding received by VIA Rail, we are ensuring that we remain the most accessible intercity transportation service in Canada by offering universal accessibility based on the highest standards. 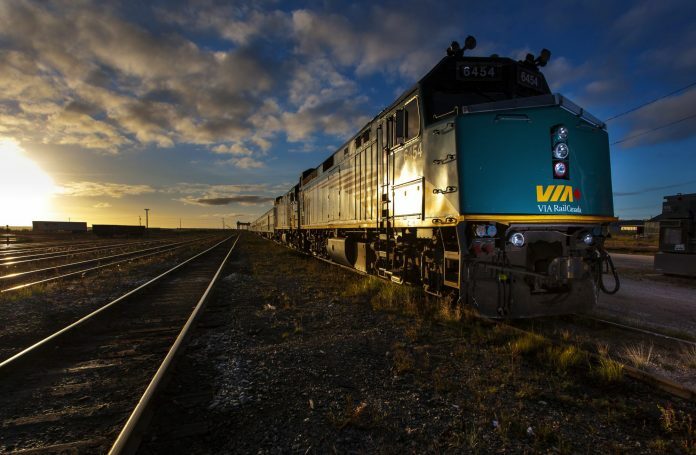 “This investment is in addition to the funding granted for the acquisition of a new fleet in the Quebec City-Windsor corridor, and is part of VIA Rail’s transformation plan aimed at creating a more sustainable future for Canadians.